We only need to know the destination and will find the best place. We have made all the search and thus we can supply accommodation both to the travel trade and individuals. With over 400 hotels, apartments, studios and villas available for booking we can assure the best accommodation through a wide selection of services in many destinations in Greece. Built according to the Ionian architecture and situated in the picturesque bay of Ligia, in contact with the sea, Porto Ligia Hotel offers spectacular views, cosmopolitan style, serenity and relaxation. 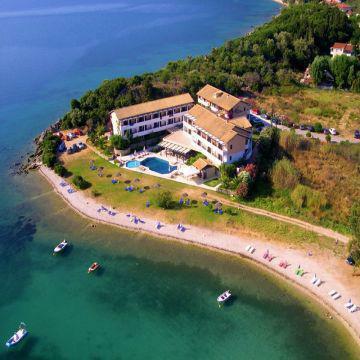 In the heart of Greece, at the foot of the mythical mount Olympus, in the picturesque Platamon, one of the most interesting and beautiful areas of Pieria, Sun Beach Hotel Platamonas is the best choice for the clients seeking for a location of remarkable natural beauty, ideal if your wish is to enjoy your holiday combining mountain and sea. 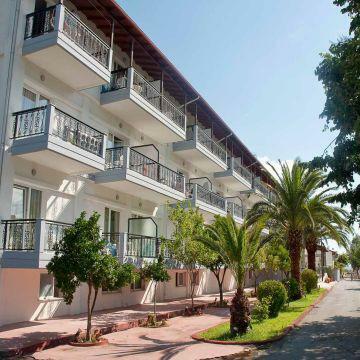 The hotel is ideal for families and it is right in front of the sea.